That’s according to Jurgen Klopp, anyway! James Milner and Gini Wijnaldum are still not in perfect health after their respective illnesses, although both played in the 3-0 victory over Bournemouth, with the Dutchman scoring a goal and putting in a Man of the Match performance. 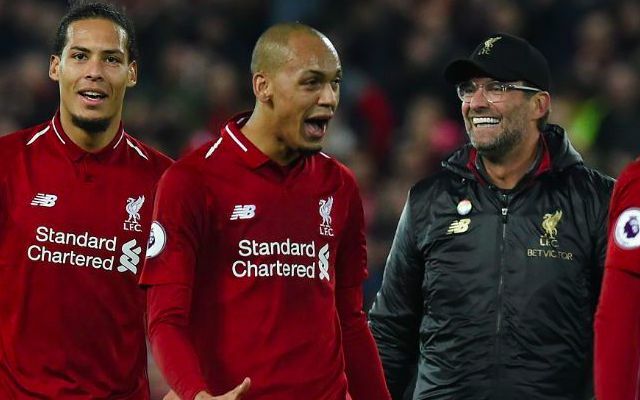 Fabinho has a muscular issue, but the boss is positive that he’ll be totally fine for our next fixture, which is seven days’ time against Bayern Munich. “It’s how it is after games, you have a couple of problems,” he told the official website. We hope that our ability to win a game following a warm-weather break is better than it was not only in January, but also in previous seasons! Klopp loves doing it, but short-term, it’s never showed a benefit in terms of results. It’s our game in hand, so a draw or a win will see us go top of the Premier League table with 11 games to go.